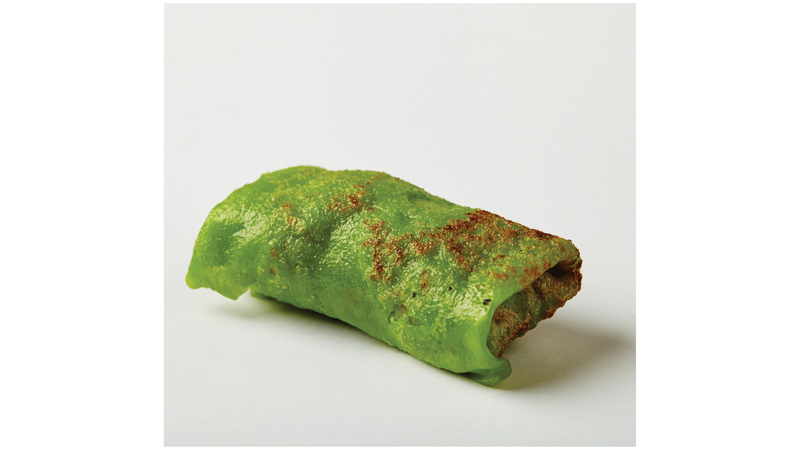 How well do you know your kuih? 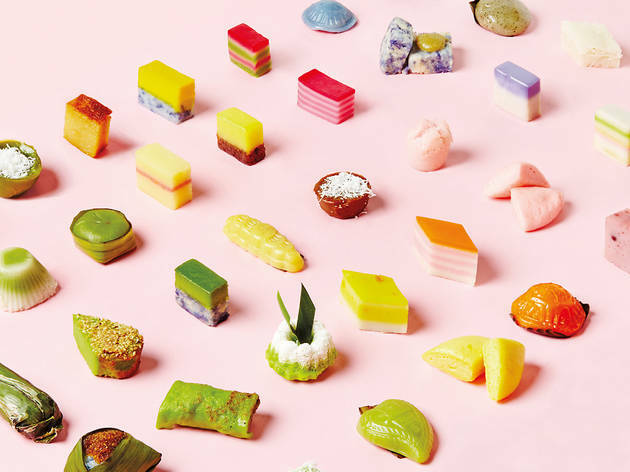 Our love for pandan, gula Melaka, coconut milk and all things sweet had us chasing down dangerously addictive Malay and Nyonya kuih. 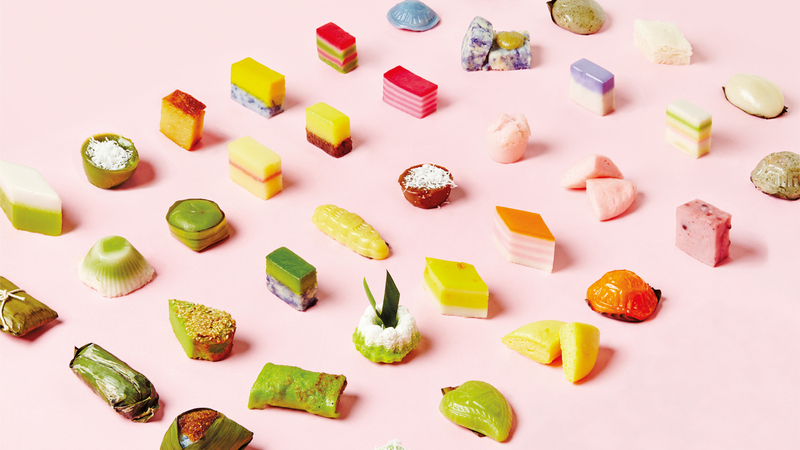 We munched our way through trays of kuih to bring you Time Out’s ultimate guide to these colourful cakes, snacks and desserts in the city. 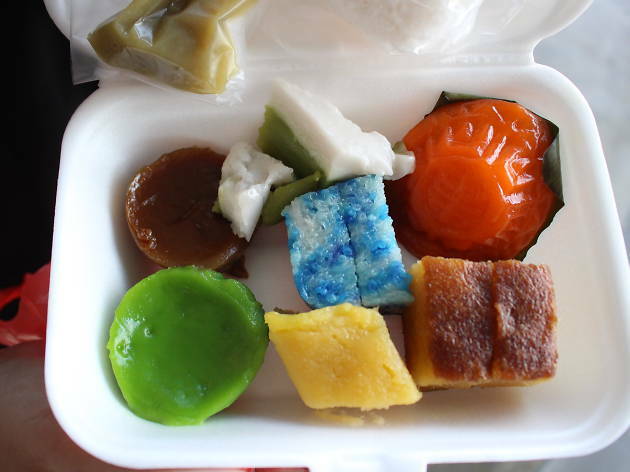 Colourful, sweet (or savoury), usually steamed (sometimes baked), the aesthetically pleasing dessert is the pride and joy of Malaysia’s culinary landscape. 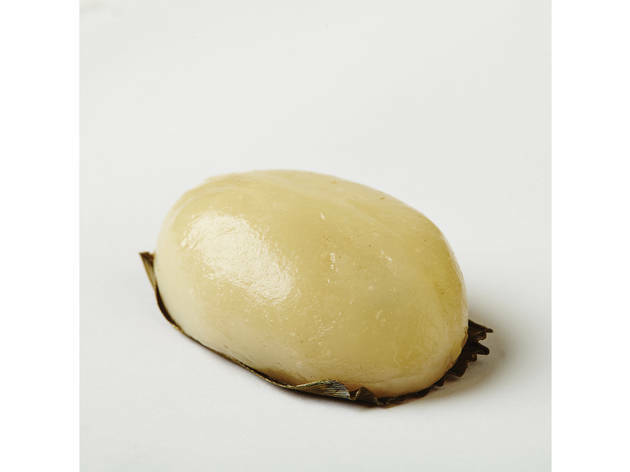 While we know kuih got its name from the Hokkien character 粿 (pronounced ‘kway’), where and how it originated is a bit more vague. 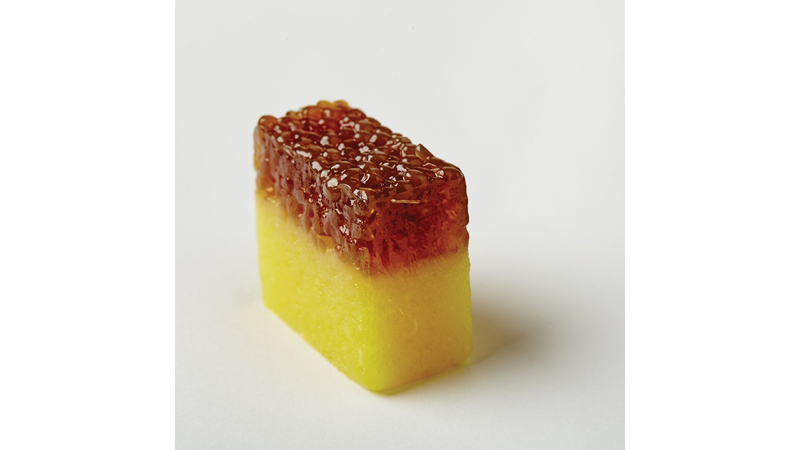 Recipes have been passed down by Peranakan and Malay womenfolk through the generations, picking up influences here and there from all cultures, culminating into the desserts we all know and love. 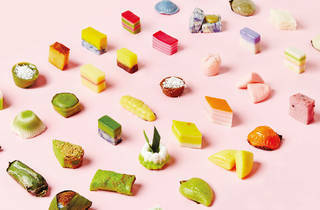 An essential in Malaysian celebrations (weddings, kenduri, a baby’s full moon, etc), the bite-sized kuih has become part of our everyday life. 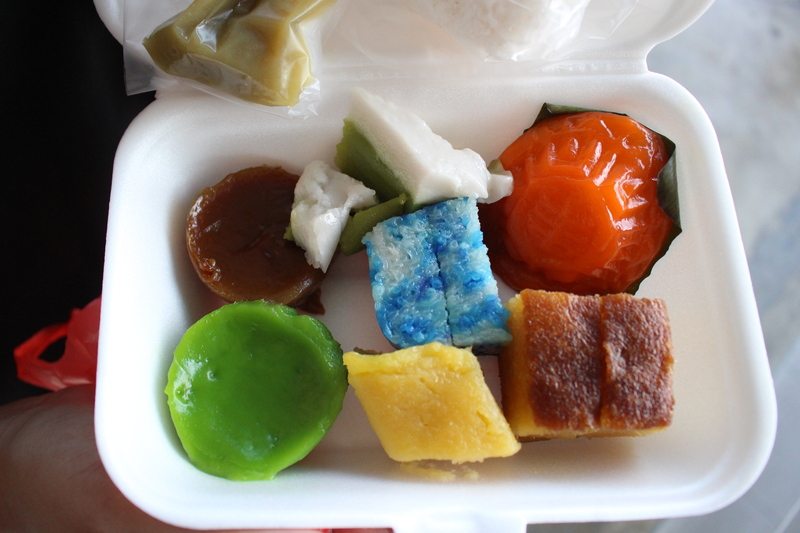 Read on for the types of Nyonya and Malay kuih you can find in KL. 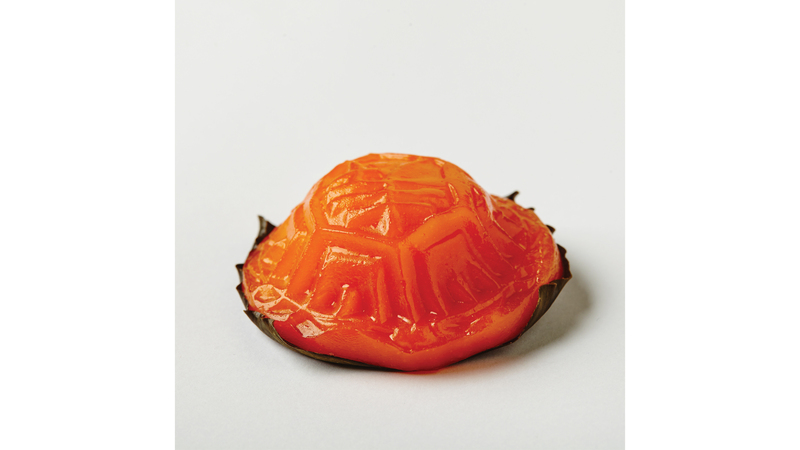 Meaning ‘red tortoise cake’ in Hokkien, the ang ku kuih is the superstar of the kuih world (it even has a dedicated Wiki page). 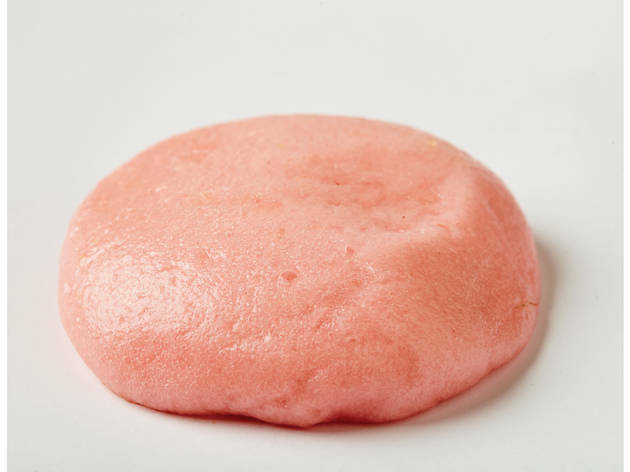 Usually with a chewy, bright orange-red skin and fragrant mung bean paste filling, the ang ku kuih is a mainstay during Chinese celebrations (for example, a baby’s first full moon) or at the kuih stall at the market. While these come in various sizes, shapes, shades and fillings (crushed peanuts, shredded coconuts, etc), nothing beats the classic tortoiseshell-red-skin-and-mung-bean combo. 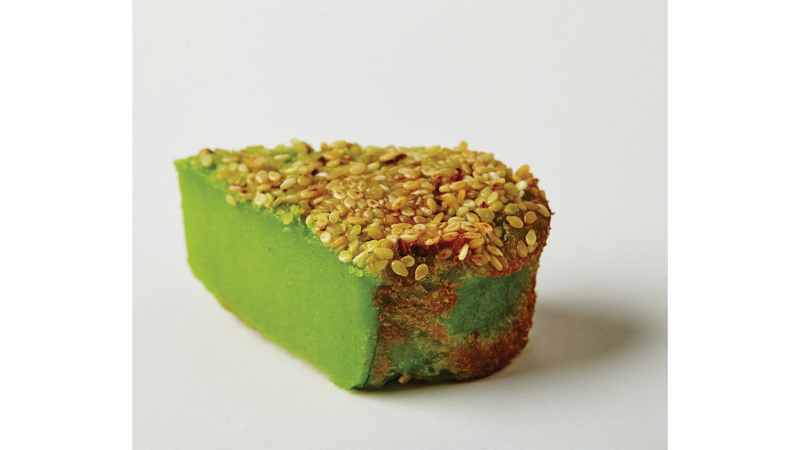 Usually used as an offering in temples, the huat (which refers to the cake’s rising process as well as representing ‘prosperity’ in Hokkien) kuih packs a double punch with a light pandan fragrance and an addictively fluffy texture when freshly steamed. 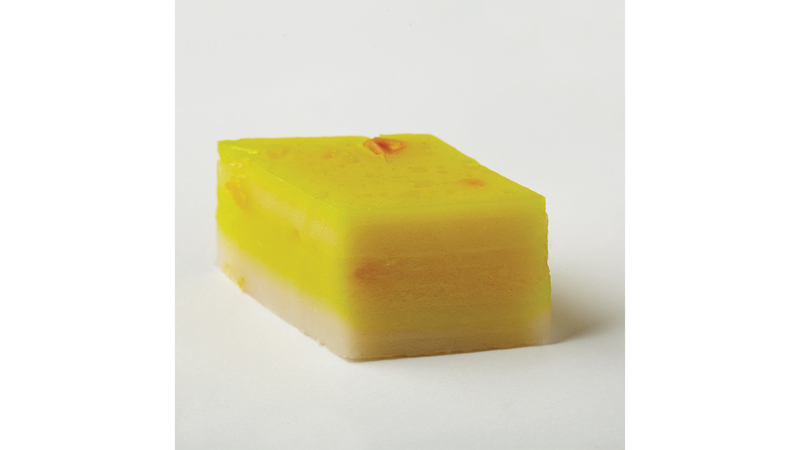 This version from Tasty Kuih Nyonya is steamed in small ceramic tea cups and sells out really quickly. 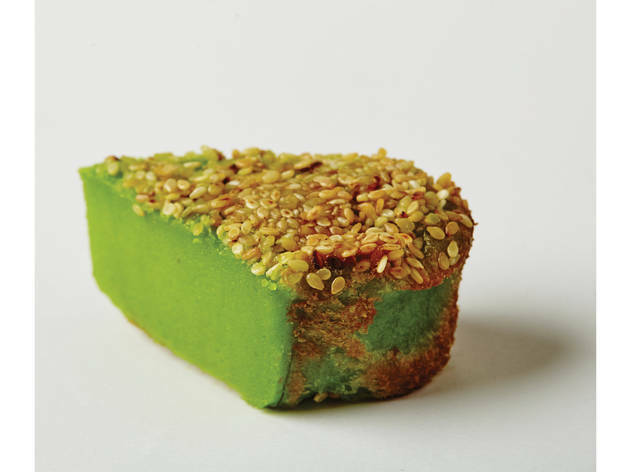 Kuih bakar (basically, it’s baked pandan egg custard) fundamentals include rich pandan and eggy flavours, as well as a nicely smoky, caramelised sesame seed-encrusted top. 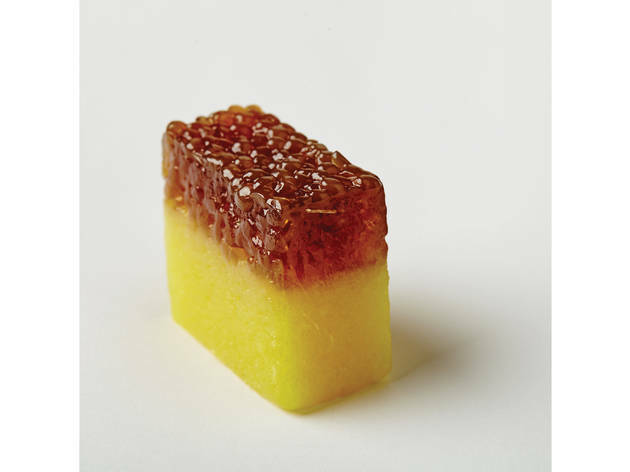 Typically cooked in flower-shaped bronze pans, the kuih bakar is also known as kuih bakar kemboja in reference to its shape. 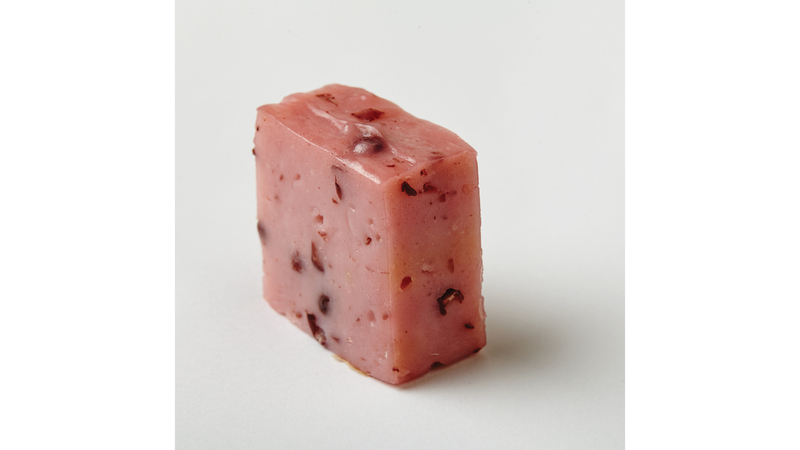 While it’s usually baked in the oven, it gets extra smokiness and char when cooked over an open fire. 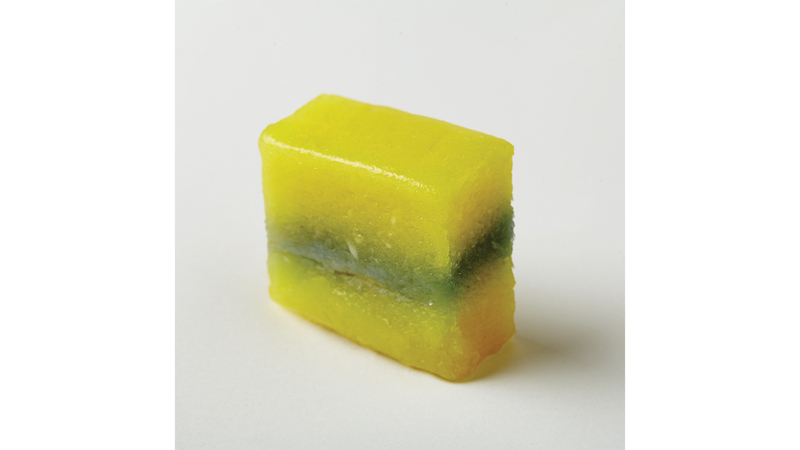 Often relegated to the sidelines in favour of flashier kuihs such as kuih lapis and ang ku kuih, the vastly underappreciated steamed kuih jagung is one of the most ingenious ways Malaysians use sweet corn. 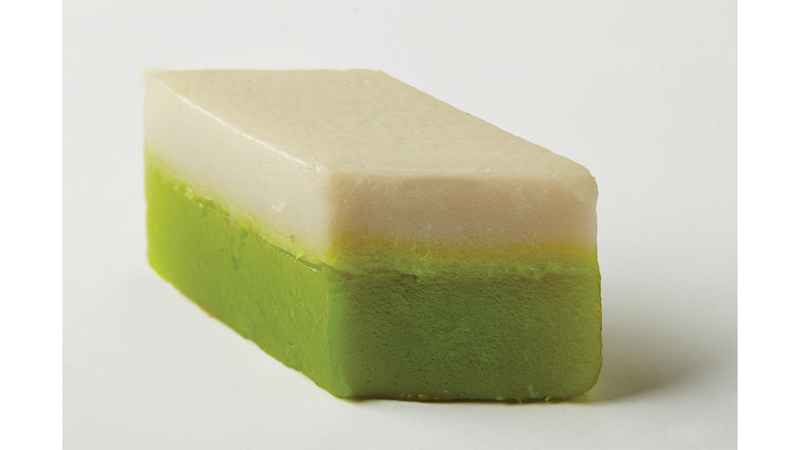 Made up of a sunny yellow layer (canned sweet corn with kernel bits) atop a layer of white (coconut milk and pandan), kuih jagung is the perfect marriage between coconut and jagung. Corny, but amaizing. A variation of kuih talam, kuih kacang merah is a type of kuih made with red beans (duh), coconut milk and pandan. 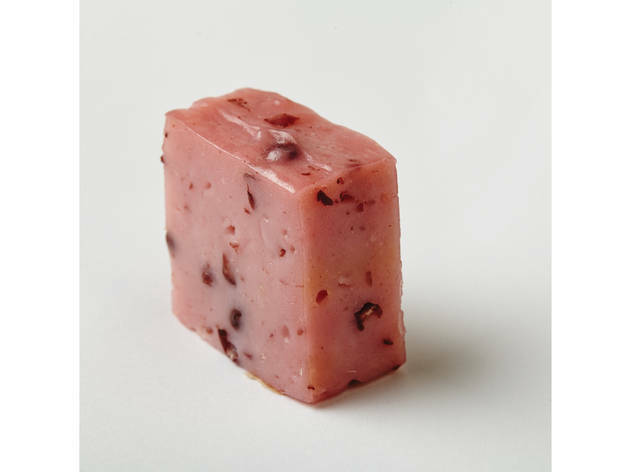 It’s sometimes sold in layers of deep pink and white (alternatives include a piece that’s fully red or with colour gradations of dark pink to white) with chunks of adzuki beans in it. 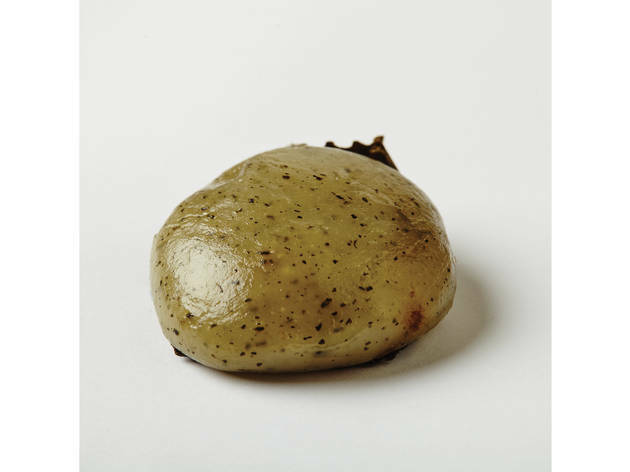 Some versions have lightly salted red beans. 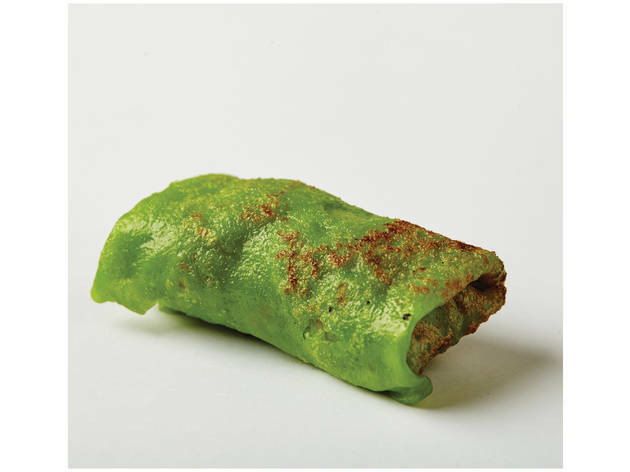 One of our favourites, the kuih ketayap (also known as kuih dadar) is a Malay kuih that showcases the smoky gula Melaka. 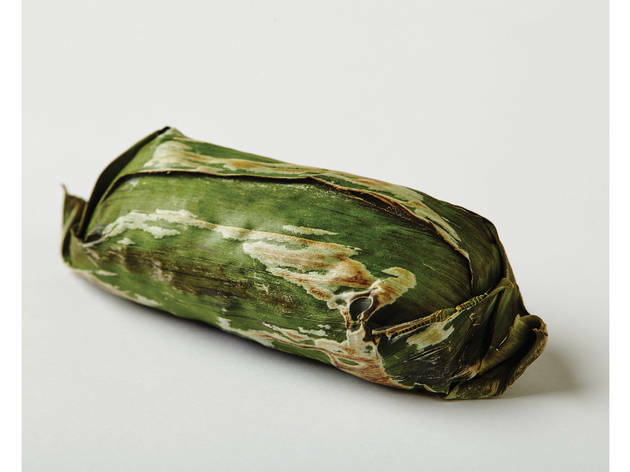 This cylindrical parcel of shredded coconut and palm sugar wrapped in spongy pandan crêpe is best when it’s warm off the pan, nicely browned on the outside, and gula Melaka slightly melted. 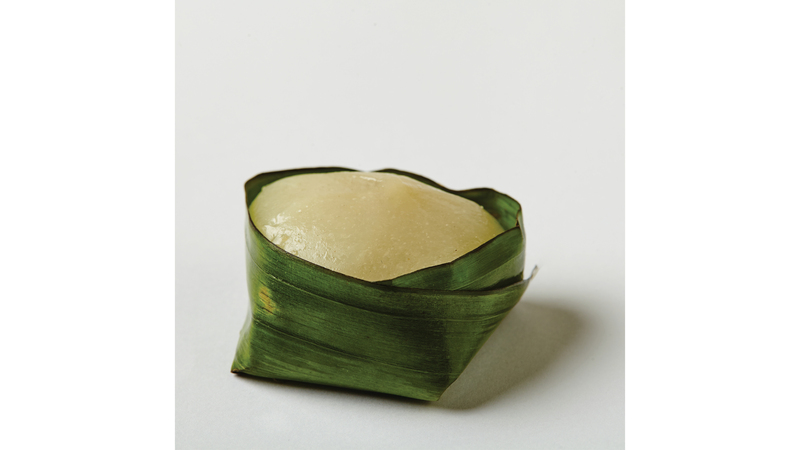 These bite-sized soft and chewy steamed Nyonya cakes (known as kuih lompang in the Malay community) are usually steamed in small ceramic tea cups that give it its shape. 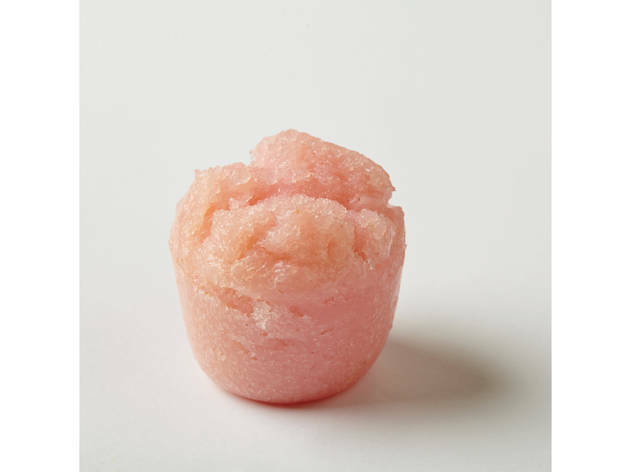 If steamed right, there’ll be a small dimple on top, which makes the perfect receptacle for a fuzzy topping of fresh grated coconut. 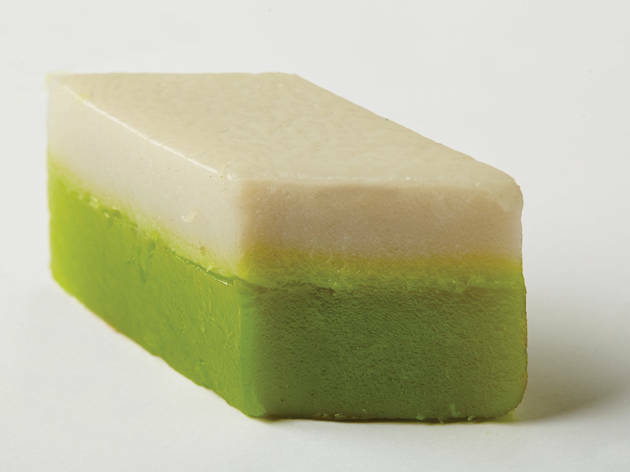 This rice flour cake is usually available in pandan or gula Melaka flavours. 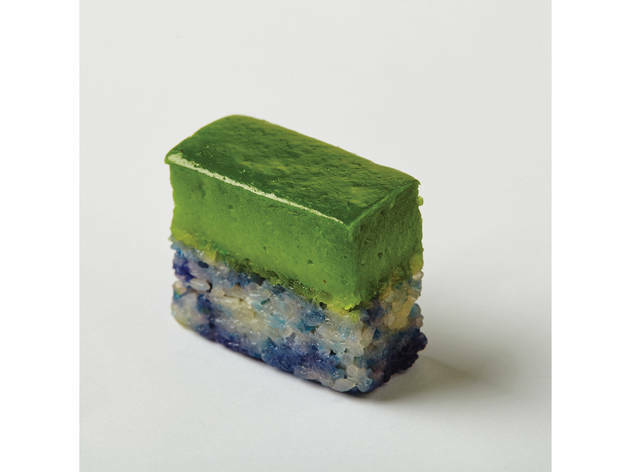 Also known as ‘nine-layer cake’, or more accurately kuih lapis beras, the kuih lapis is easily identified by its multi-coloured layers which can be easily separated and eaten individually. While all sorts of colour combinations are possible, the most common combination is red, orange and white. 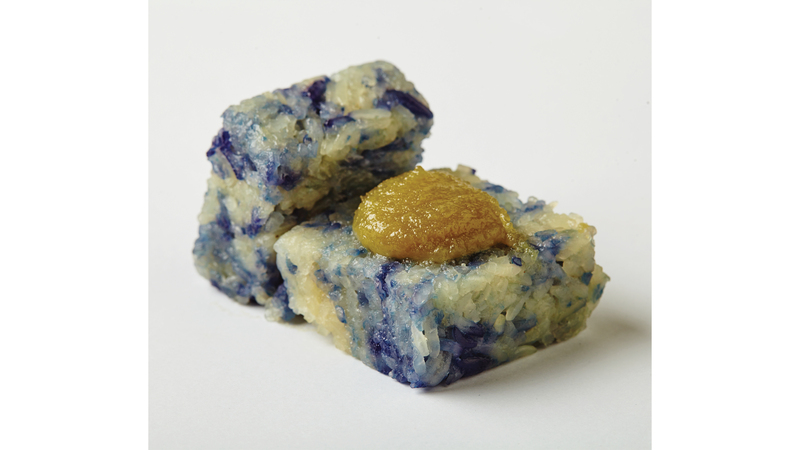 Fun fact: the topmost lapis is removed after steaming to ensure that the rest of the layers remain soft and moist. 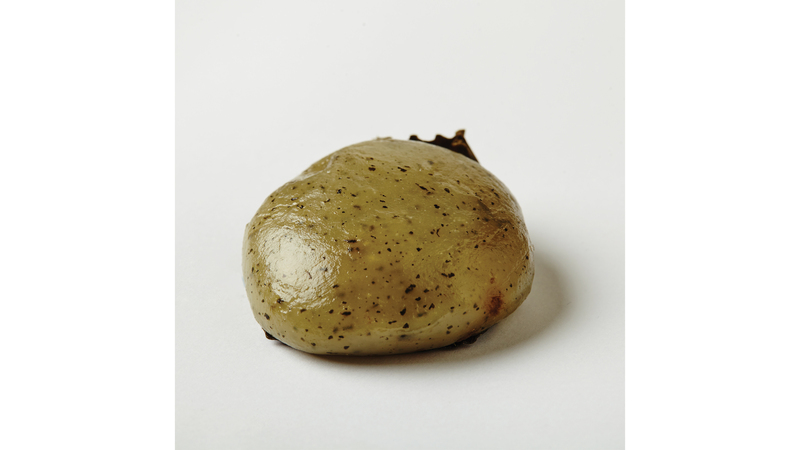 With its distinctive yellow tint and dark brown caramelised top, bingka ubi is one of the most identifiable kuihs. 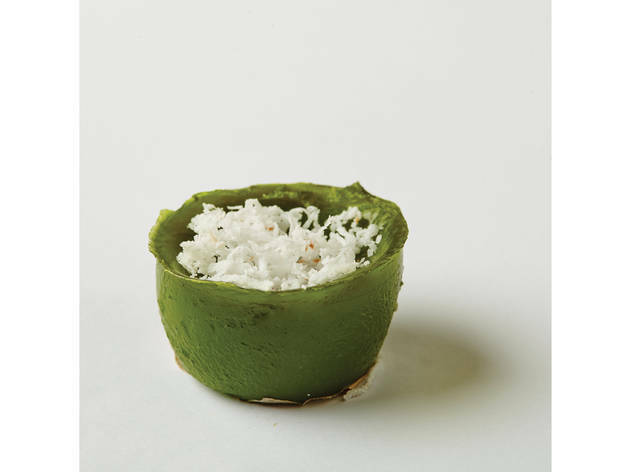 To make bingka ubi, tubers of tapioca (or cassava) are finely grated, drained, and mixed with sugar, eggs, pandan and coconut milk before being baked for the golden brown top. 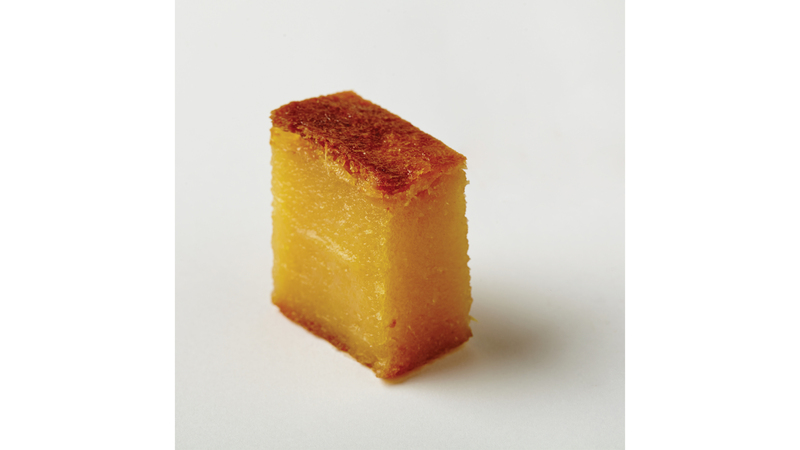 This chewy cake is semi-soft with a springy texture. 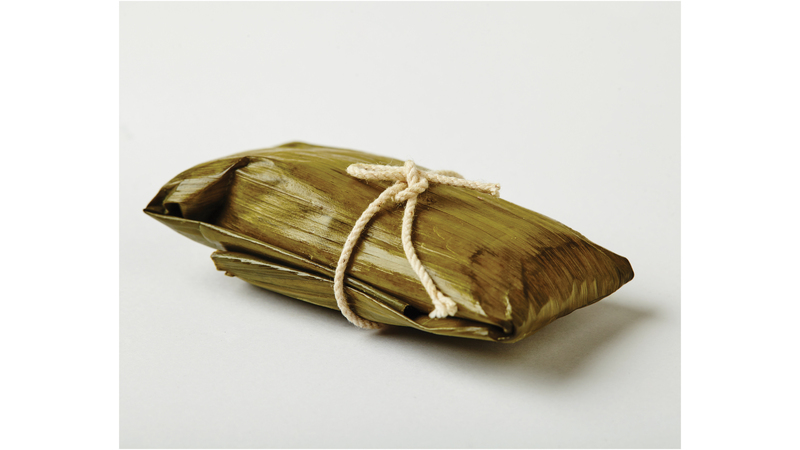 Rule number one: Pulut tai-tai (or pulut tekan) and kaya go hand-in-hand. 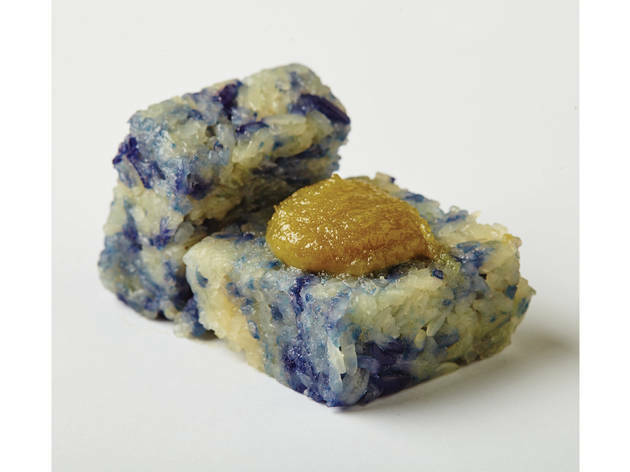 This elegant Nyonya kuih is a glutinous rice cake that’s marbled a bunga telang (butterfly pea flower) blue and is best when served with eggy, fragrant kaya. 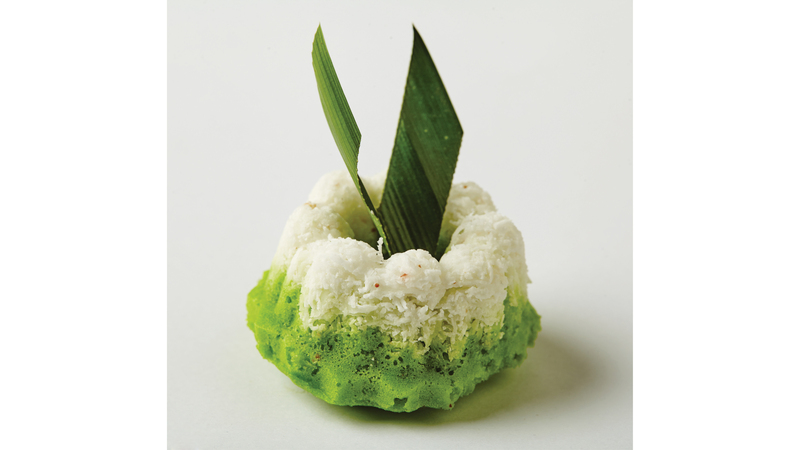 And the best thick, coconutty kaya is from Kedai Kuih A’Han. 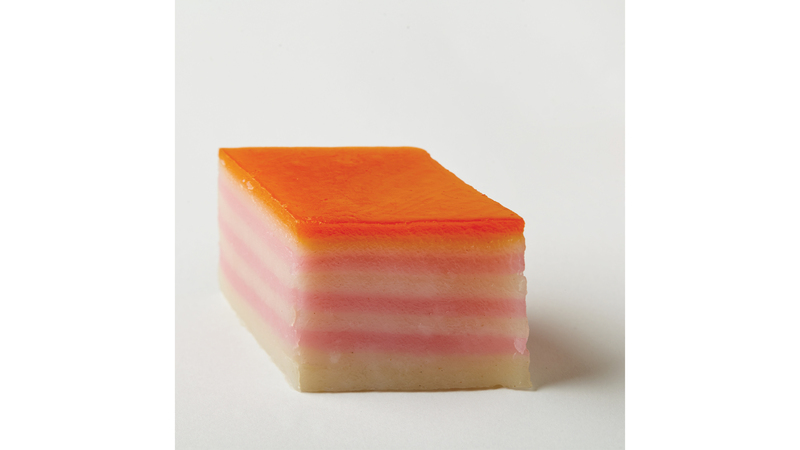 A member of the talam family (two-layer kuihs steamed in trays), the lesser-seen talam keladi is made with yam. 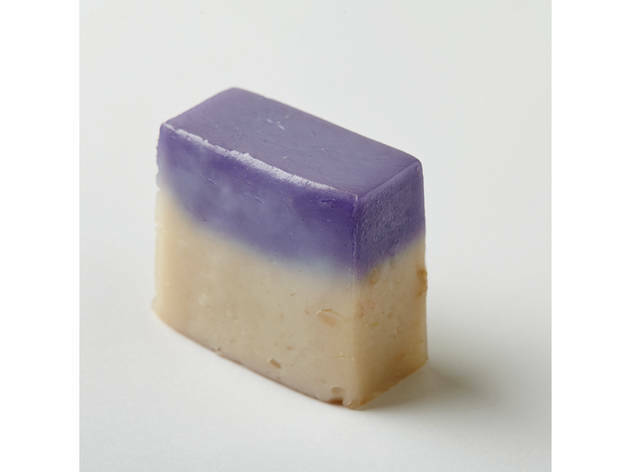 Defining factors: a purple top and chunks of yam in the white bottom layer. 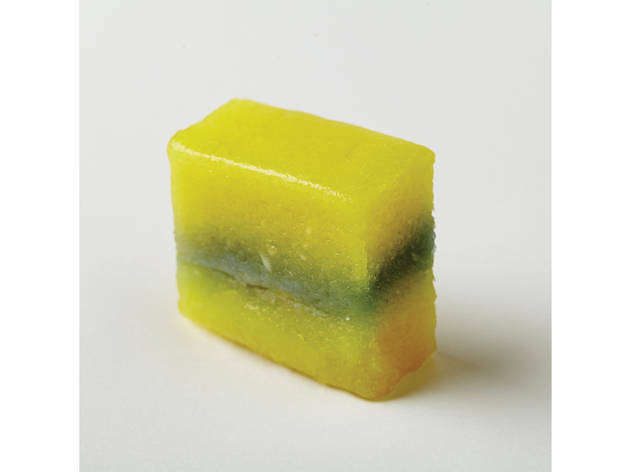 A combination of soft and chewy things, the steamed tapioca banana is exactly what it is: steamed tapioca kuih (mostly yellow, tinged blue in the middle) with a hint of banana. 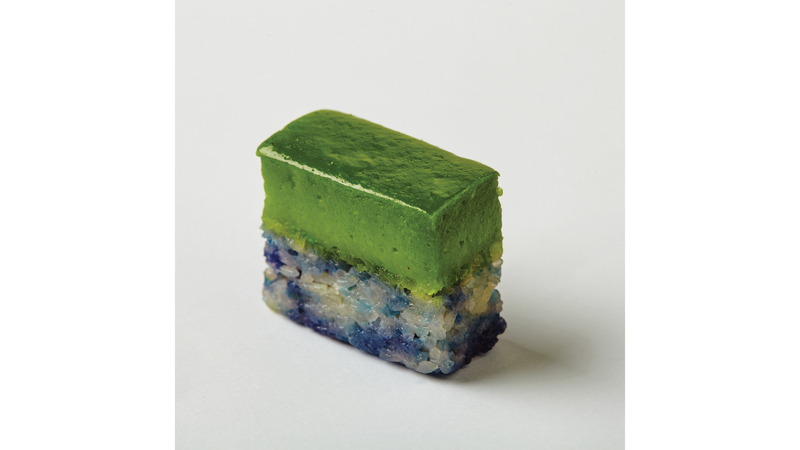 Don’t be fooled by this kuih lapis lookalike. 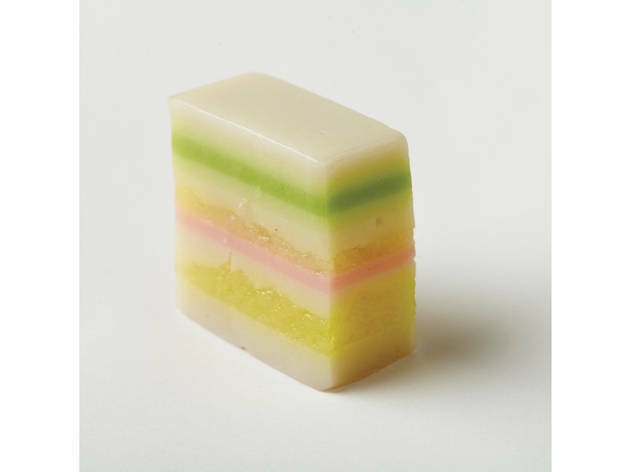 Nyonya Colours’ colourful kuih talam ubi is made up of white, green, pink and yellow layers of coconut milk with rice flour and tapioca. A rarely seen kuih, the kuih sago ubi is basically steamed tapioca kuih with a generous top layer of sago pearls cooked in gula Melaka. A master class in textural interest. 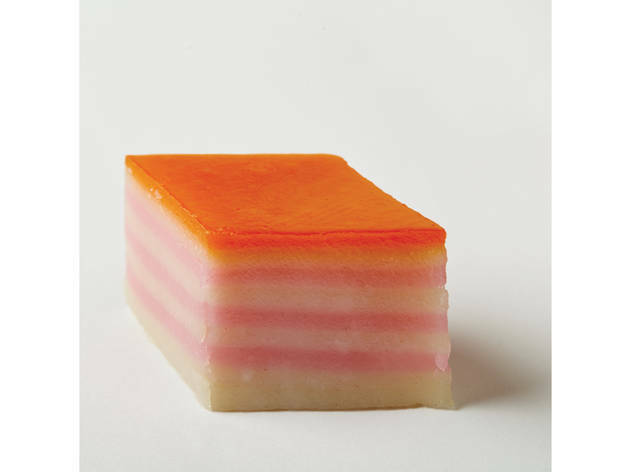 Sold in large slices, the subtly sweet pak thong ko (which means ‘white sugar sponge cake’ in Cantonese) has delicious yeasty flavours derived from Chinese wine yeast. 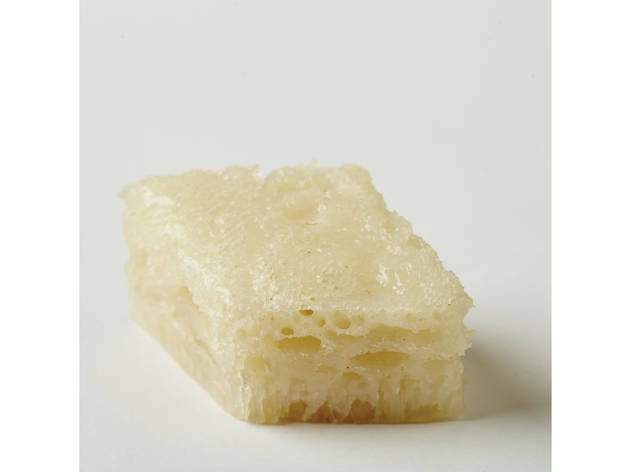 Due to the yeast and longish fermentation period, this kuih is noted for its honeycomb structure. 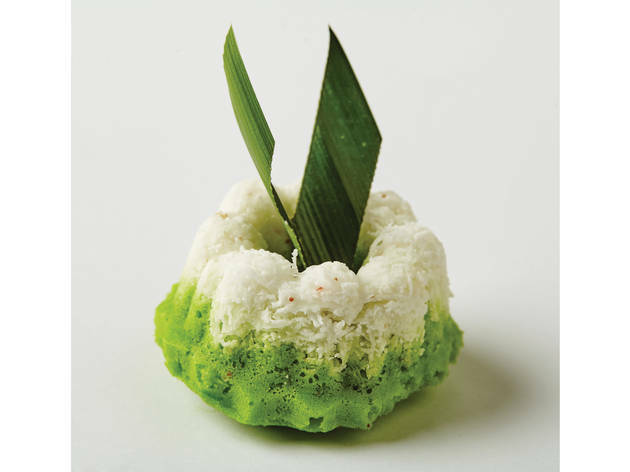 Often mistaken for kuih talam, the key difference between seri muka and kuih talam is that the layer of green pandan is paired with glutinous rice. 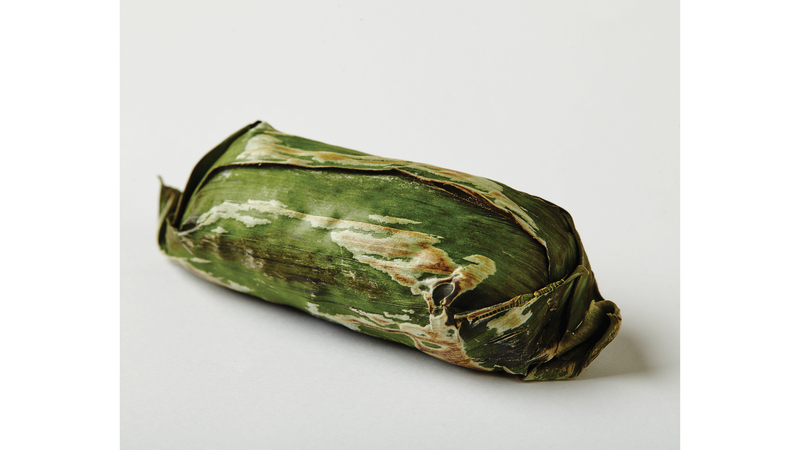 Sometimes the pulut may be cooked with bunga telang for a distinctive blue tint or steamed with pandan on its own. 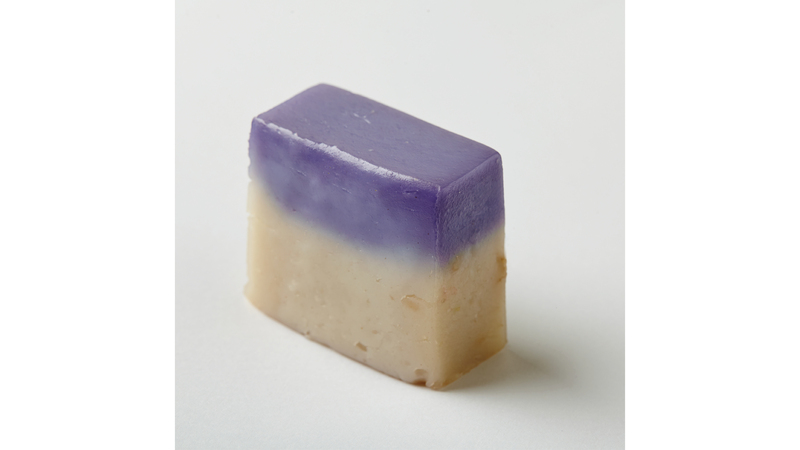 A classic kuih. 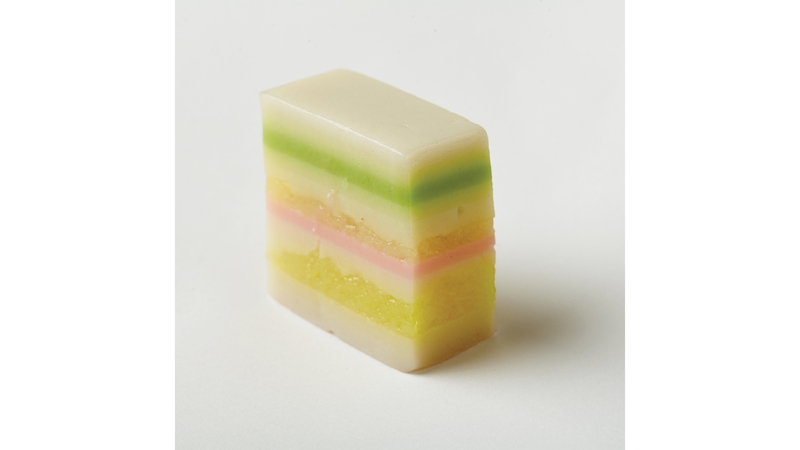 Bottom layer: rice and mung bean flour, flavoured with pandan; upper layer: lightly salted coconut cream. Dangerously addictive. 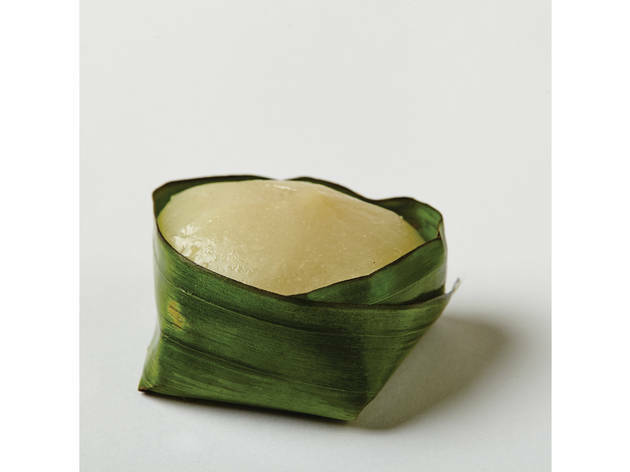 The epitome of all things pandan and coconut milk, the popular East Coast dessert tepung pelita is wobbly pandan and coconut milk custard steamed in a small banana leaf vessel. This kuih of Malay-Indonesian origin comes in mini bundt-cake-like shapes. 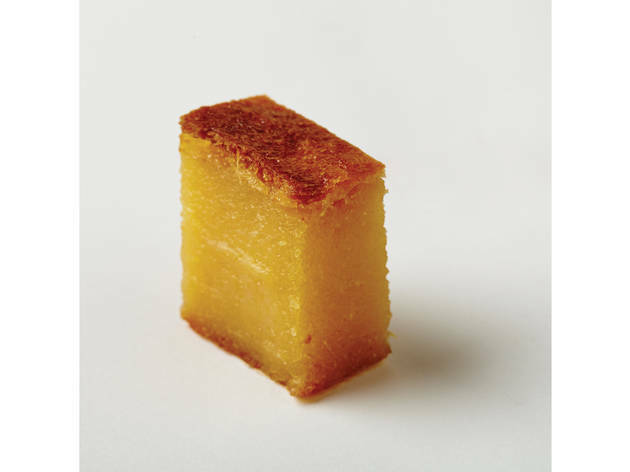 Think fluffy bite-sized sponge cakes crowned with lightly salted fresh shredded coconut. 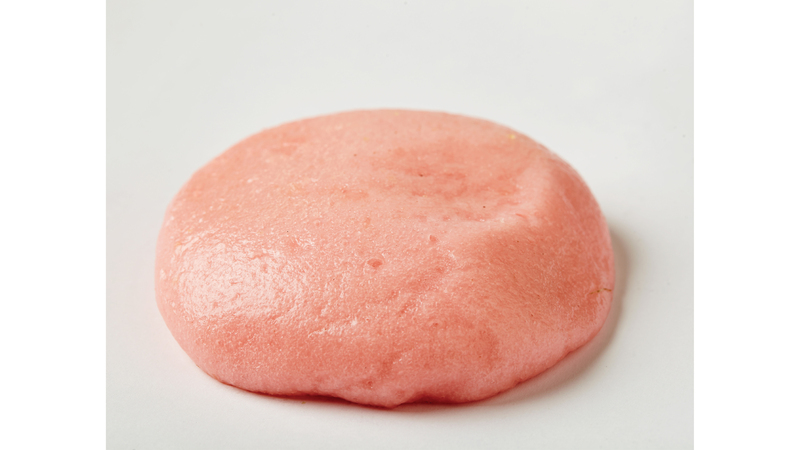 As the kids call it: pink kuih. 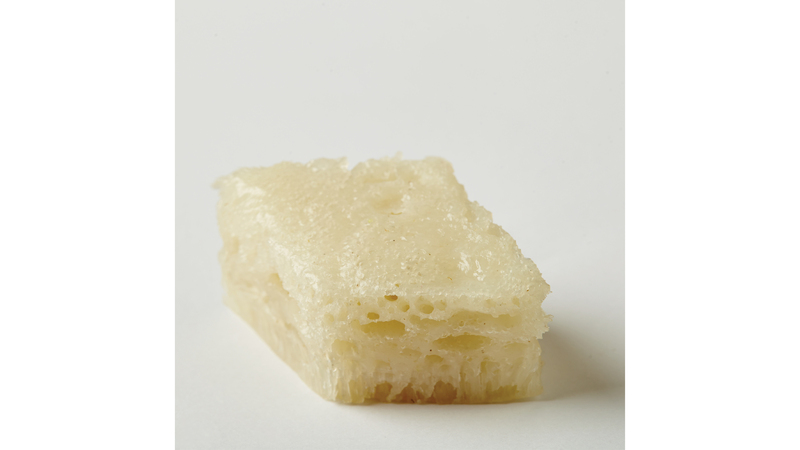 This sweet bread-like yeasted kosong kuih has a smooth surface and a slightly chewy texture. 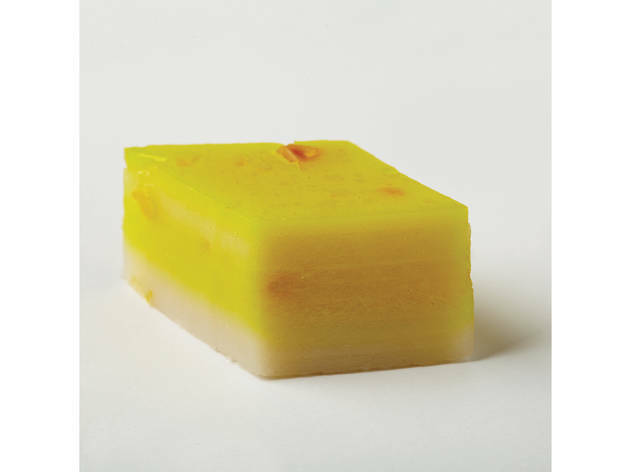 Occasional variations include yellow ones made with pumpkin. 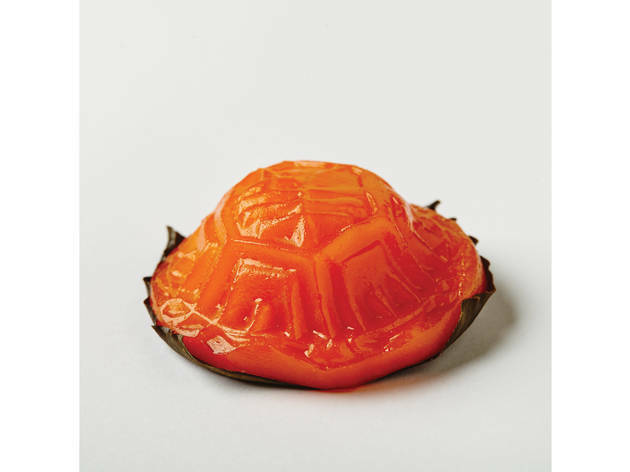 This savoury kuih with Hakka origins is made with a translucent, chewy skin and fillings that include grated jicama, carrots and dried shrimp. 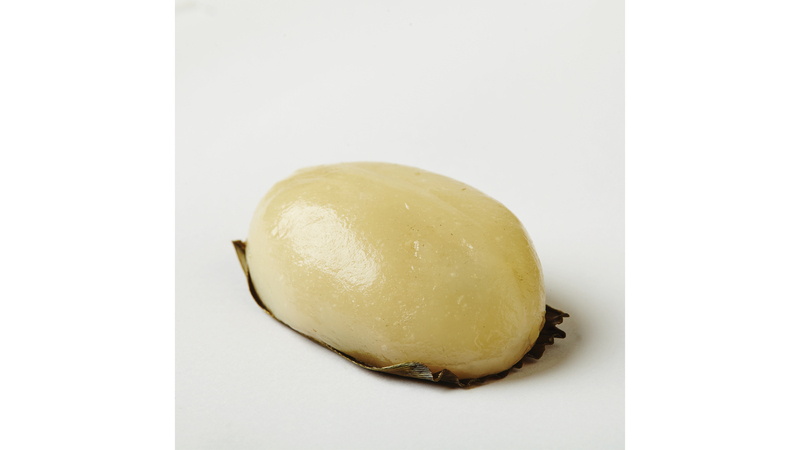 This Teochew savoury chives dumpling has thick, chewy skin and is filled with chopped chives, garlic and dried shrimp. 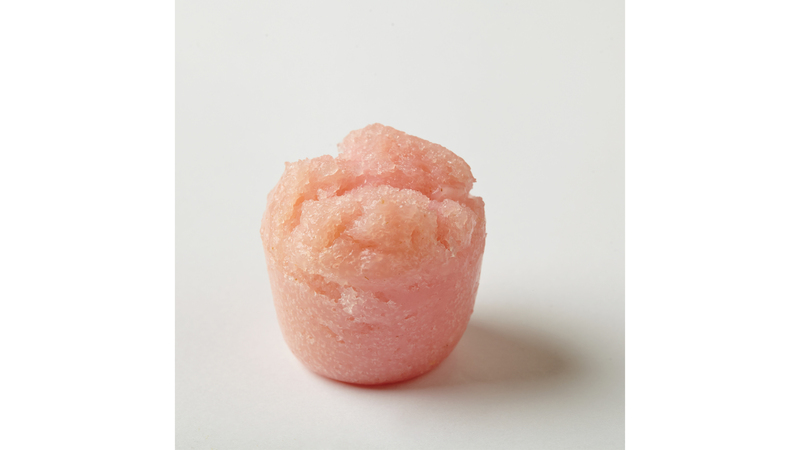 A local take on the onigiri, if you will. 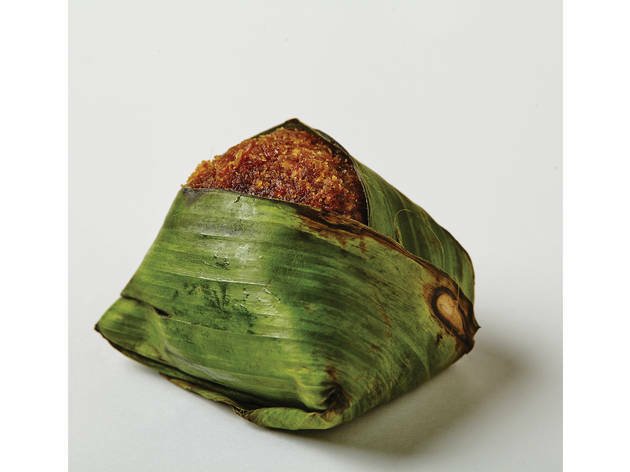 This grilled glutinous rice kuih consists of pulut with fillings (commonly seen ones include meat floss, dried shrimp, sambal belacan and so on) wrapped in cylindrical banana leaf bundles and grilled for an extra smoky factor. 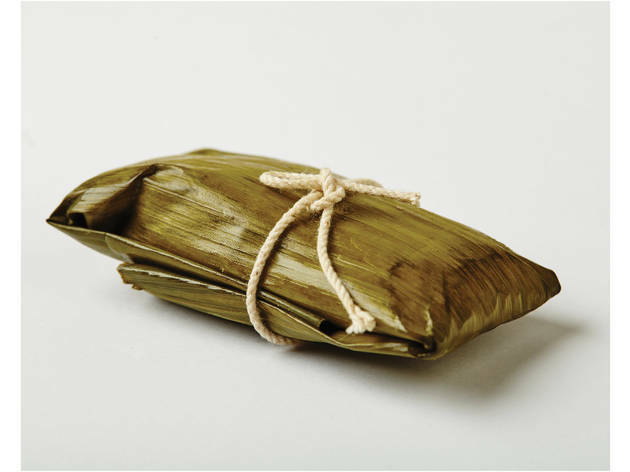 This traditional Malay kuih is basically bananas mashed with shredded coconut and steamed in a banana leaf parcel, complete with a twine ribbon. 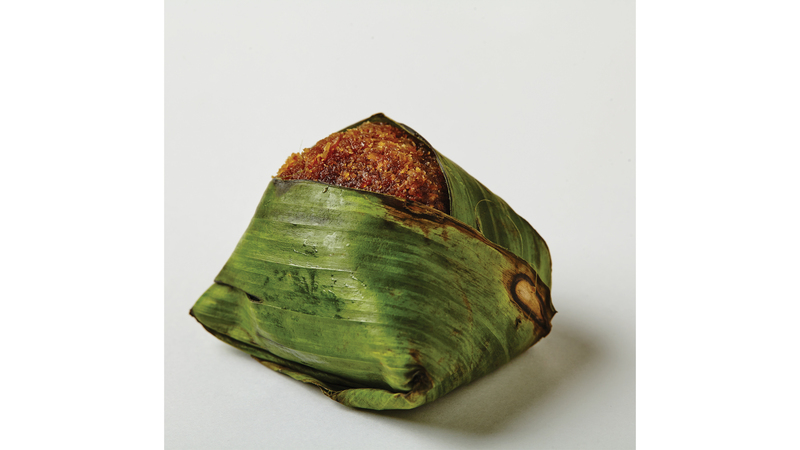 While this kuih may bear resemblance to nasi lemak, these little pyramid-shaped packages are different from Malaysia’s national dish. 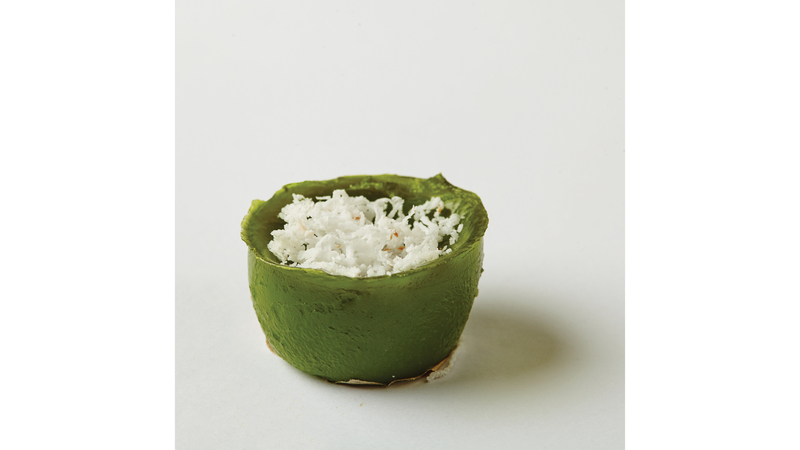 The kuih’s name is pretty much self-explanatory: inti (in this case: grated sweet coconut cooked with palm sugar, pandan and a bit of salt) heaped onto pulut and then wrapped in banana leaf. A cousin of the pulut inti is the savoury pulut sambal, which is glutinuous rice wrapped in the same manner but topped with shrimp sambal. 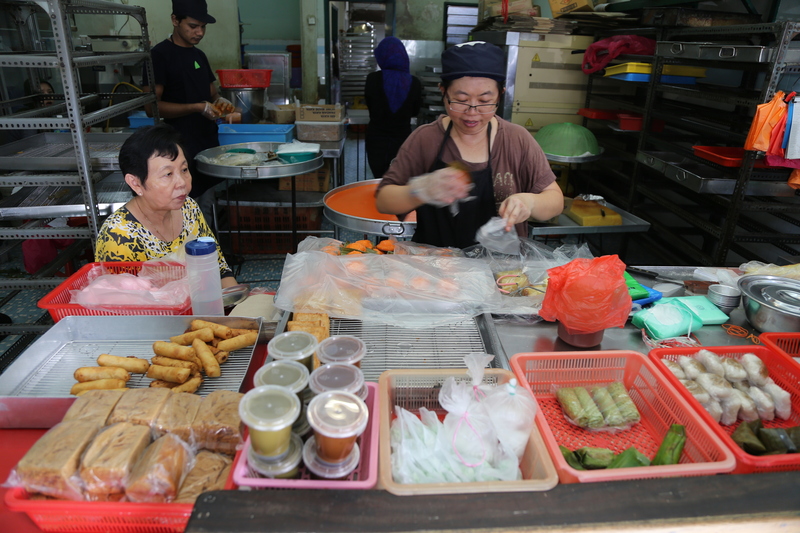 The kuih here may not be aesthetically pleasing, but owner Mrs Lim makes up for it with balanced flavours and quality ingredients. Slathered on the pulut tai-tai is some of the best kaya in KL: doubleboiled and stirred for six hours for a thick, eggy consistency. 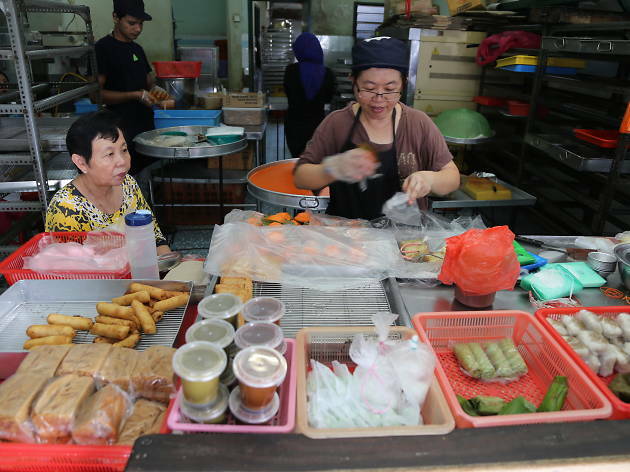 Originally from Penang, Tasty Kuih Nyonya has been in business for over 30 years. 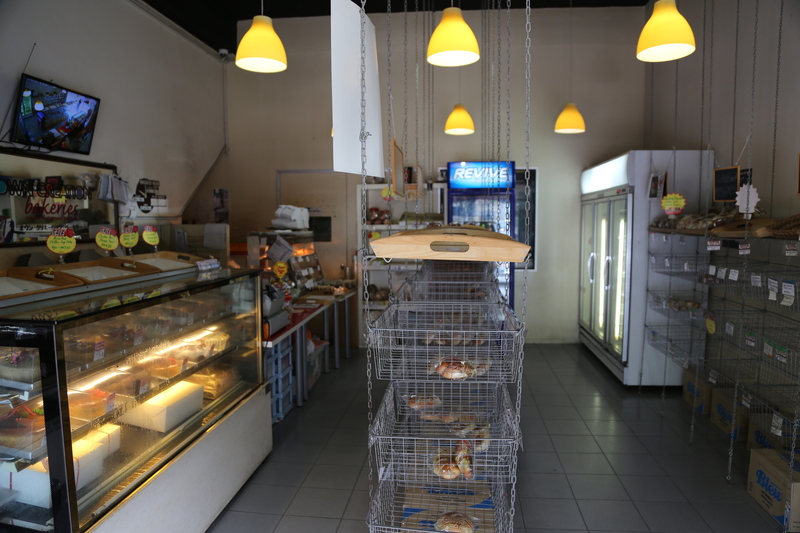 To find this unassuming kuih shop in Klang, look for the dark green bamboo blinds or follow the scent of pandan. 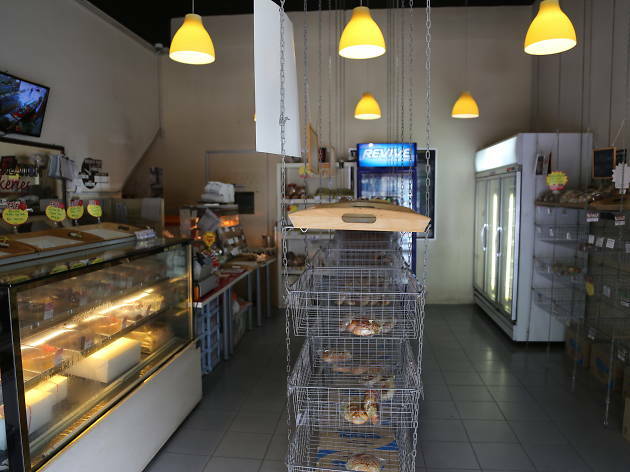 Own Creation Bakeries churn out gluten-free desserts; among them, a range of angku kuih in various shapes, colours and fillings, using ingredients such as matcha, dragon fruit, lotus paste, purple sweet potato and more.